Strong winds agitate the sea that crashes over Punta de Maisí, the most extreme point in eastern Cuba, where no building stands on the coast made up of rocky areas intermingled with vegetation and with sandy areas where people can swim and sunbathe. A little inland, a white, well-kept lighthouse rises 37 metres above sea level. Standing there since 1862, it is an icon of the municipality of Maisí, in the province of Guantánamo, in the east of this Caribbean island nation of 11.2 million inhabitants. “Occasionally there’s a cyclone. Matthew recently passed by and devastated this area,” said Hidalgo Matos, who has been the lighthouse keeper for more than 40 years. Matos was referring to the last major disaster to strike the area, when Hurricane Matthew, category four on the one to five Saffir-Simpson scale, hit Guantánamo on Oct. 4-5, 2016. 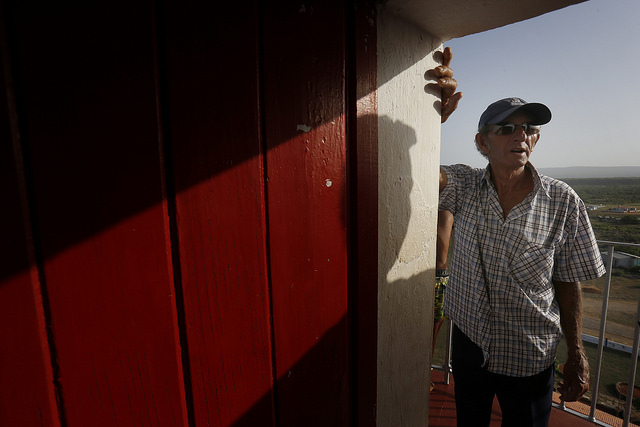 Thanks to this rare trade, which has been maintained from generation to generation by the three families who live next to the lighthouse, the 64-year-old Matos has seen from the privileged height of the tower the fury of the sea and the winds from the hurricanes that are devastating Cuba and other Caribbean islands, more and more intensely due to climate change. “One of the benefits of the area is that the majority of the population makes a living from fishing,” said the lighthouse-keeper. This is the main reason why coastal populations are reluctant to leave their homes by the sea, and even return after being relocated to safer areas inland. Facing this and other obstacles, the Cuban authorities in the 1990s began to modify the management of coastal areas, which was accelerated with the implementation in 2017 of the first government plan to address climate change, better known as Life Task. Currently, more than 193,000 people live in vulnerable areas, in conditions that will only get worse, as the sea level is forecast to rise 27 centimetres by 2050 and 85 centimetres by 2100. The relocation of coastal communities and the restoration of native landscapes are key to boosting resilience in the face of extreme natural events. Scientists say that natural elements of coastal protection such as sandy beaches, sea grasses, reefs and mangroves cushion the tides. Of the country’s 262 coastal settlements, 121 are estimated to be affected by climate change. Of these, 67 are located on the north coast, which was affected almost in its entirety by the powerful Hurricane Irma in September 2017, and 54 are in the south. In total, 34,454 people, 11,956 year-round homes, 3,646 holiday homes and 1,383 other facilities are at risk. 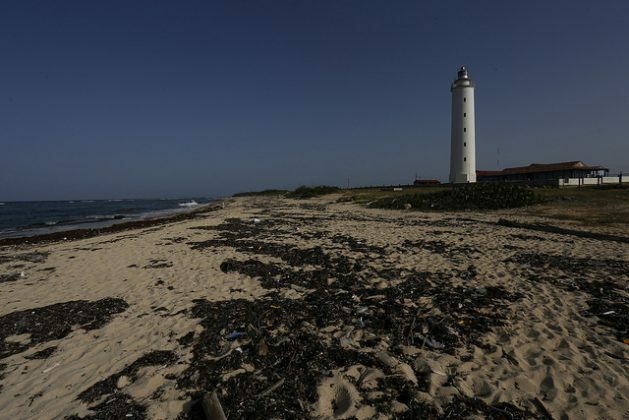 Cuban authorities reported that 93 of the 262 coastal settlements had been the target of some form of climate change adaptation and mitigation action by 2016. Measures for relocation to safer areas were also being carried out in 65 of these communities, 25 had partial plans for housing relocation, 22 had to be completely relocated from the shoreline, and another 56 were to be reaccommodated, rehabilitated and protected. “There are no plans to move any settlements or people in the municipality because after Cyclone Matthew everything was moved,” said Eddy Pellegrin, a high-level official in the government of Maisí, with a population of 28,752 people who depend mostly on agriculture. “Since 2015 we have been working on it. From that year to 2017, we relocated some 120 people,” he said in an interview with IPS in Punta de Maisí. A total of 840 people live along the 254 km of coastline in this municipality, “who are not in dangerous or vulnerable places,” the official said, discussing the national programme to manage the coastal area that Maisí is preparing to conclude with a local development project. “There is no need to make new investments in the coastal area, what remains is to plant sea grapes (Coccoloba uvifera) to increase production,” he said of a local development project that consists of planting these bushes typical of the beaches, to restore the natural protective barrier and produce wine from the fruit. Punta de Maisí and Boca de Jauco are the areas to be reforested with sea grape plants. Pellegrin added that coconut groves – a key element of Guantánamo’s economy – will be replanted 250 m from the coast. Maisí is an illustration of the long-term challenges and complexities of coastal management, ranging from the demolition of poorly located homes and facilities, to changing the economic alternatives in those communities that depend on fishing, to major engineering works. Guantánamo has been hit continuously in recent years by major hurricanes: Sandy (2012), Matthew (2016) and Irma (2017), in addition to the severe drought between 2014 and 2017 that affected virtually the entire country. “The latest atmospheric phenomena have affected the entire coastal area,” Daysi Sarmiento, an official in the government of the province of Guantánamo, told IPS. “Now Baracoa Bay is being dredged,” said Sarmiento, referring to Baracoa, the first town in the area built by the Spaniards in colonial times, which faces the worst coastal risks. The dredging is part of investments expected to be completed in September to protect Baracoa’s coast, which is highly vulnerable to floods, hurricanes and tsunamis. By August 2017, the authorities had eliminated more than 900 state facilities and 673 private buildings from beaches nationwide. On the sandy coasts in this area alone, a total of 14,103 irregularly-built constructions were identified at the beginning of the Life Task plan. 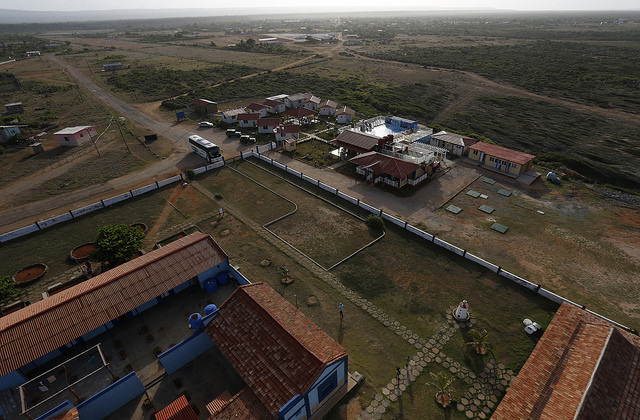 The central provinces of Ciego de Avila and Sancti Spíritus are the only ones that today have beaches free of zoning and urban planning violations. There are at least six laws that protect the coastline in various ways, in particular Decree-Law 212 on “Coastal Area Management”, which has been in force since 2000 and prohibits human activities that accelerate natural soil erosion, a problem that had not been given importance for decades. “The community has grown further away from the coast,” sports coach Milaydis Griñán told IPS. 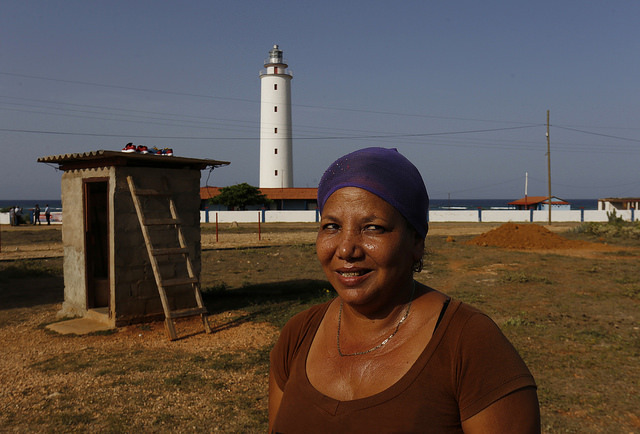 She defines herself as Cuba’s “first inhabitant” because of the proximity of her humble home to the Punta de Maisí lighthouse, which is still recovering from the impacts of Hurricane Matthew. “The risks have been high because we are very close to the beach, especially when there is a storm or hurricane or tsunami alert, but we don’t have plans for relocation inland,” she said. By caribbeanclimate in News on July 17, 2018 .